Knowing women’s inclination both in Romania and in all the world for modern and for very good quality clothes, the women’s clothing exhibited in our online store are noticeable in their trendy line and execution perfection. 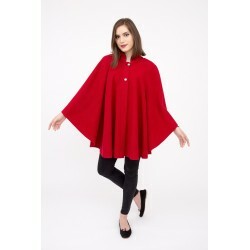 With cuts that follow body shapes, or light cuts from casual to fluid, super elegant, Heliotrop Fashion Design clothing will emphasize your silhouette and help you project a desirable image according to your style and personality. Made from very good quality cloth, in tonic colors, neutral or pastel, they will answer to all exigencies of teenagers and young feeling ladies of any age. For suggestions or requests related to our collections, please do not hesitate to contact us by Email or phone. We assure you that we’ll do everything for you, and more than you expect from us.